We started our publication with the vacationer in mind. We hope to spread the word about the beautiful vacation homes Hilton Head Island has to offer. We also want to showcase the many talented writers and photographers that call our beautiful island "home." 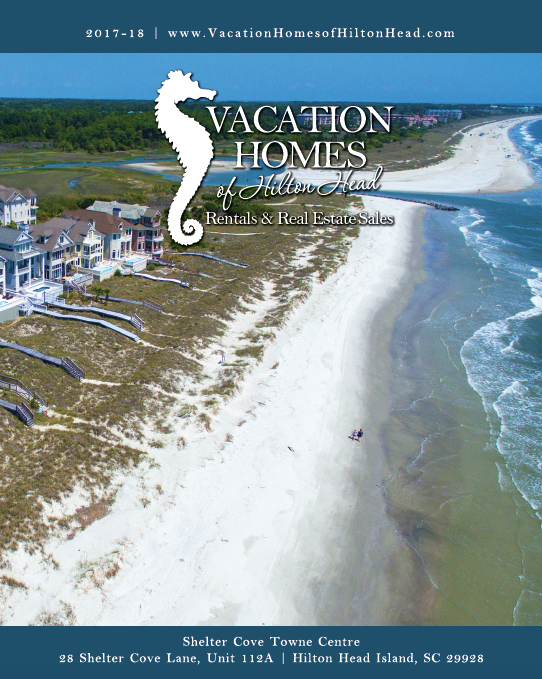 Vacation Homes of Hilton Head Magazine is all about beautiful properties, interesting articles, gorgeous photography, and local insights about life on Hilton Head. Do you want to see your vacation home in our magazine? Tired of getting lost in the shuffle with your current management company? We handpick our homes and offer direct access to your owner liaison 24/7! In-house staff member who specializes in interior design and can assist with all of your upgrades and home improvement needs. Consulation, purchase, and install for no additional fees. Premier office location at Shelter Cove Towne Centre, increasing exposure of your property.